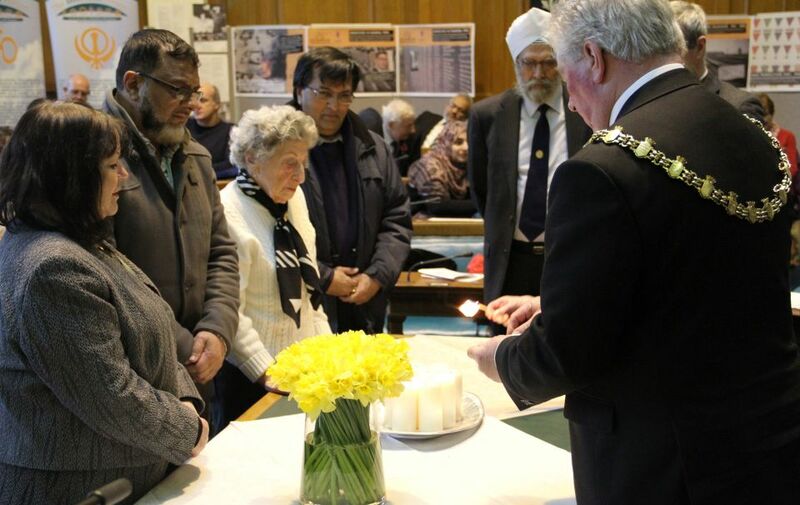 The event included speeches from Derek Estill, Rabbi Arnold Saunders BA Hons, the Mayor of Blackburn with Darwen and short prayers by representatives from various religious faiths. 9 schools took part in the ceremony, including short prayers, and also presentations. The end of the ceremony was marked with the lighting of candles by faith representatives as well as leader of Blackburn with Darwen Council, Councillor Kate Hollern. The day commemorated all those who were affected by the Holocaust in which six million Jews and thousands of others lost their lives. The ceremony also remembered the victims of more recent genocides such as Rwanda, Cambodia, Bosnia and Darfur. The theme for this year’s event was ‘’Keep the Memory Alive’. January 27 2015 marked the 70th anniversary of the liberation of Auschwitz-Birkenau, as well as the 20th anniversary of the Genocide in Srebenica, Bosnia, so it was particularly appropriate that the theme for this year focuses on memory. The Interfaith Forum once again supported the event which took place in Blackburn Town Hall’s Council Chamber. It is incredibly important that we remember the victims and honour the survivors of genocide. We must make sure that these horrible crimes are never repeated, and passing on the legacy of such terrible moments in human history helps ensure that they are never forgotten, which is why it is particularly fitting that so many young people were involved with the memorial event. The numbers present is testament to the strong feelings that we should never forget such atrocities, with people of all ages marking the occasion and ensuring that we keep the memory alive for generations to come.